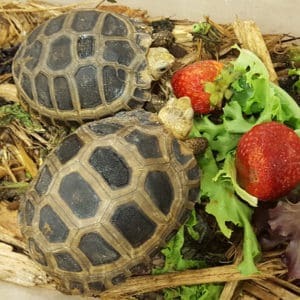 "Tortoises & Turtles are my passion"
These baby Tegus are about 9″ long and have a voracious appetite and are eating a variety of foods including crickets, pinky mice and canned dog food. 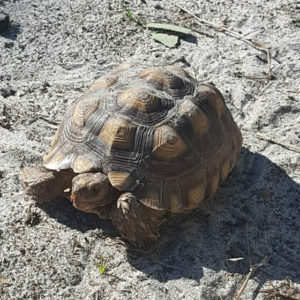 Our principal focus at Redfoot Ranch is the land tortoise. 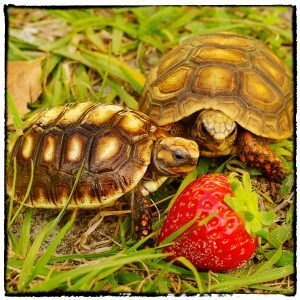 As one would expect from our name, the Redfoot Tortoise (or Red Footed tortoise) is our flagship offering. 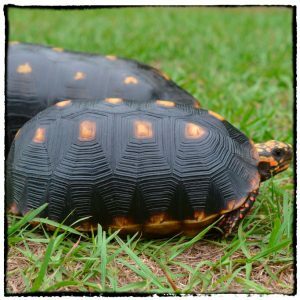 Native to parts of South America and Central America, it does extremely well in our Florida habitat. We maintain a number of breeding stock to provide a robust supply of hatchlings for this extremely popular tortoise. 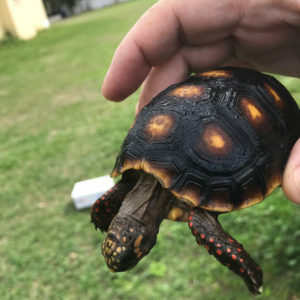 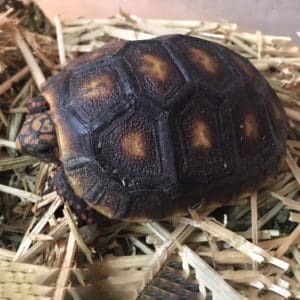 Our Redfoot Tortoises are known for their great coloring. 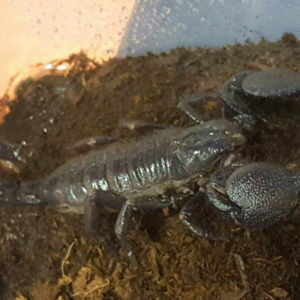 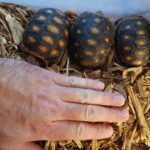 They are long lived, have great personalities, and make awesome pets. We also offer the rarer Cherryhead Redfoot Tortoise which are especially sought out for their high coloration. 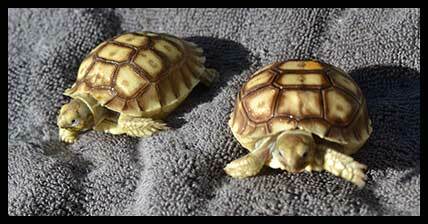 We also raise the closely related Yellowfoot Tortoise at the ranch. 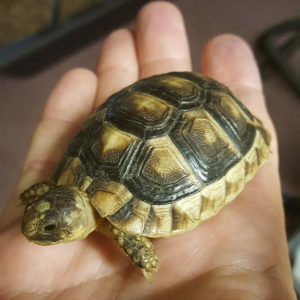 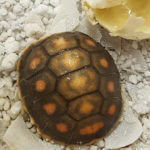 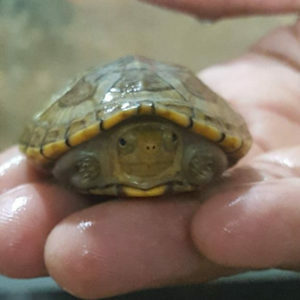 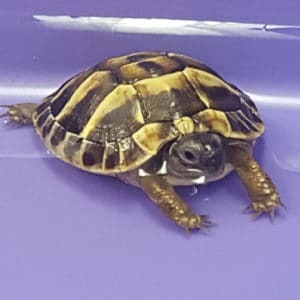 Various other captive bred tortoises are also available, This includes the Leopard and Sulcata (Spur Thigh) Tortoises from arid regions of Africa; the Hermann Tortoise from grassland regions around the Mediterranean; and the Elongated Tortoise from Southeast Asia. Most of the tortoises that we sell are small captive bred hatchlings within six months of birth. 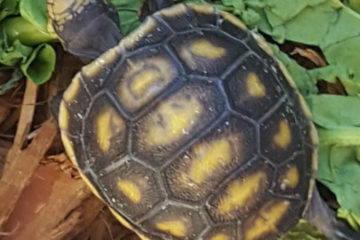 Often, we have adult redfoot tortoises available and, less often, other species of adult tortoises. 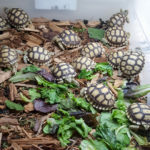 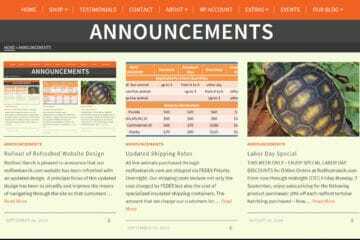 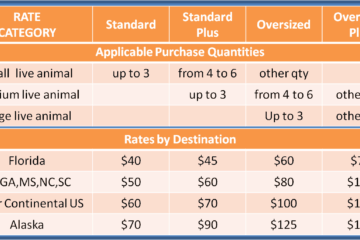 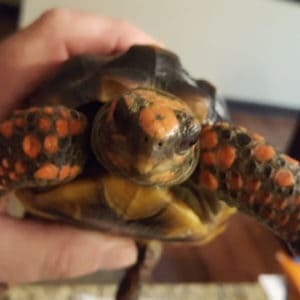 Our goal is to maintain a continuous supply of tortoise inventory for sale. 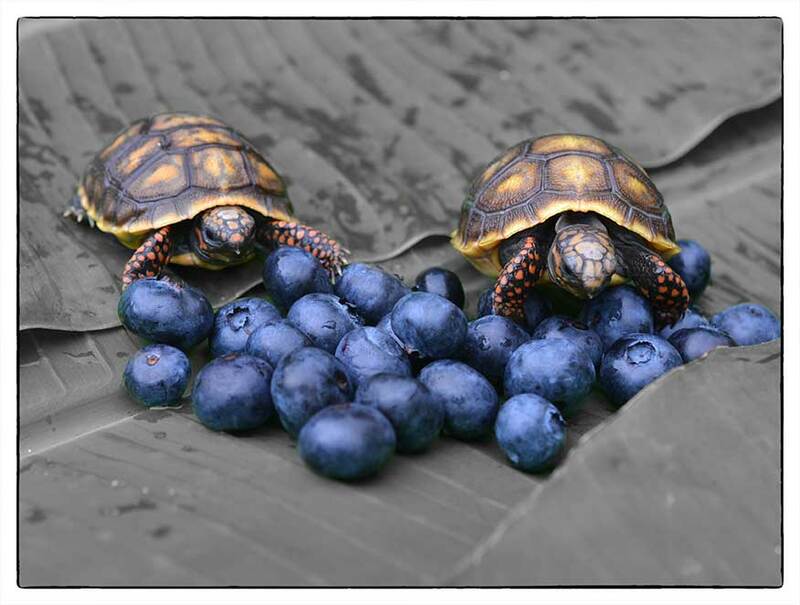 In contrast, our selection of available turtles and other reptiles varies widely. 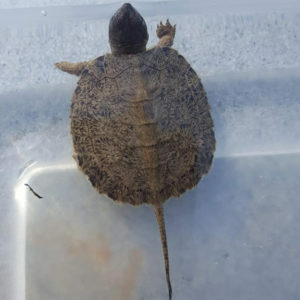 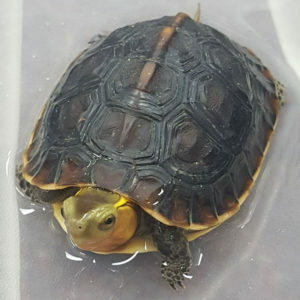 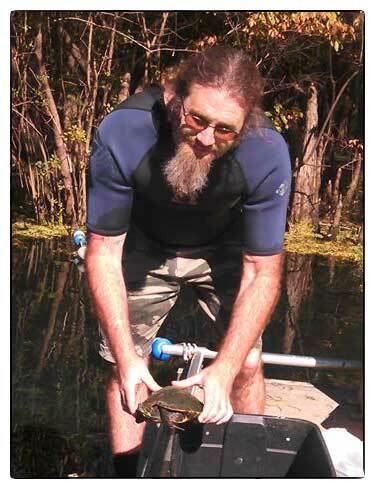 Recently available turtles include Musks, African Muds, and Florida Snapping Turtles. 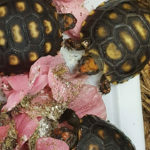 We sometimes have captive bred Florida Corn Snakes available. 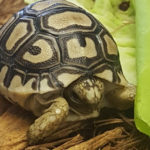 Occasionally, exotic snakes are available. 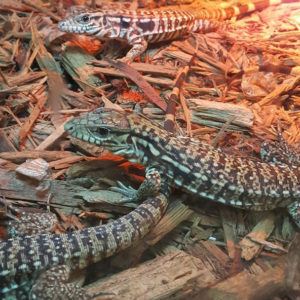 We have a number of breeding initiatives underway - particularly with a variety of boas. 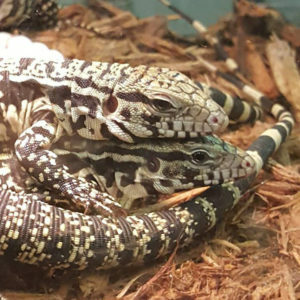 We also have initiated breeding projects for some select lizards such as the Columbian Tegu. 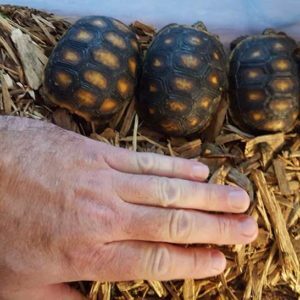 Stay tuned for updates on these.